Door Knockers from The Door Knocker Company are mostly made in the UK using traditional forging and casting methods. The designs date from the Georgian, Regency, Victorian and Edwardian periods and are complimented by contemporary, simple designs and cottage door knockers. Our door knockers are available in solid brass, cast iron, and wrought iron. Whether renovating a period property or adding the finishing touches to your home, there is a door knocker design to suit every style of house. Trade customers, architects, interior designers and television and theatre buyers, please contact us for large quantity prices. This solid brass bumble bee door knocker is ideal for any nature lover and will give a warm welcome to your visitors. Hand polished and unlacquered. A pretty bee door knocker with a nickel plated finish for contemporary front doors. This solid brass, bronze effect, bumble bee door knocker is ideal for any nature lover and will give a warm welcome to your visitors. This chrome plated bumble bee door knocker is ideal for any nature lover and will give a warm welcome to your visitors. Chrome plated finish. A stunning solid brass butterfly door knocker suitable for a country cottage or town house. A stunning solid cast brass owl door knocker which is perfect for the front door of any animal lover. Traditionally cast, polished and unlacquered. Our beautiful nickel plated woodland owl door knocker. The beautiful solid brass dragonfly door knocker is an inticately detailed animal door knocker. Made in the UK. A charming chrome door knocker in the shape of a dragonfly. A charming nickel door knocker in the shape of a dragonfly. An exotic fruit door knocker. The impressive brass lion door knocker is widely known as the number 10 Downing Street door knocker. Cast from an original design and hand polished. The impressive chrome lion door knocker is widely known as the number 10 Downing Street door knocker. The impressive black cast iron lion door knocker is widely known as the number 10 Downing Street door knocker. Cast from an original design and hand polished. The black cast iron grape vine door knocker is a French design featuring a cluster of grapes hanging from the vine. The cast brass grape vine door knocker is a French design featuring a cluster of grapes hanging from the vine. The classic brass Regency doctors door knocker is sand cast and hand polished in the UK. The classic cast iron Regency Doctors door knocker is traditionally sand cast and has a black paint finish. 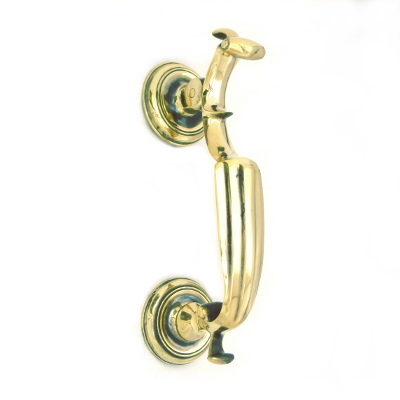 The classic doctors door knocker made in cast brass with a nickel plated finish. An ornate large brass victorian sunflower door knocker cast from an original pattern creating a decorative door knocker with intricate detail. An ornate large black cast iron victorian sunflower door knocker cast from an original pattern creating a decorative iron door knocker with intricate detail. 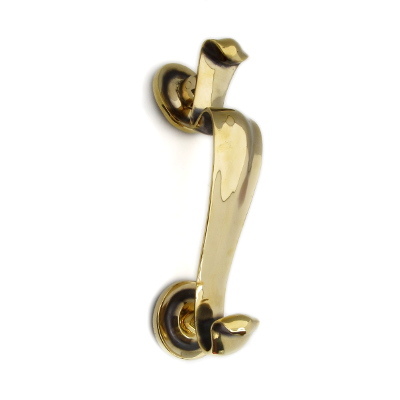 An elegant large polished brass doctors door knocker, authentically cast from an original pattern. 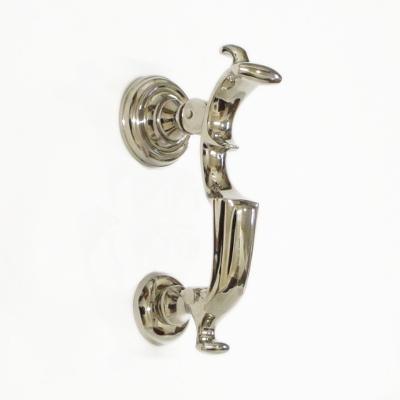 An elegant large polished nickel plated doctors door knocker authentically cast from an original pattern. An impressively large solid brass door knocker in the arts and crafts style. A beautiful solid brass door knocker with a celtic design traditionally made in the UK, hand polished and left unlacquered. A traditional solid brass country fox door knocker made in the UK, hand polished and unlacquered. A small brass trational countryside door knocker. 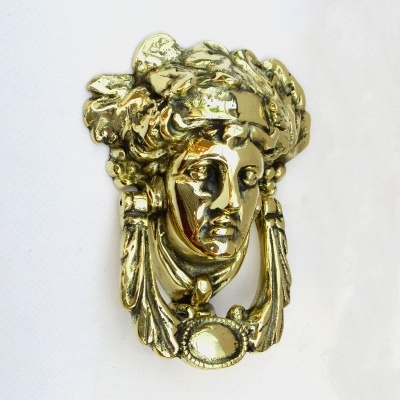 A classical Regency style door knocker showing the face of the god, Bacchus or Dionysus. A cast iron door knocker depicting the Greek God Hermes. Black paint finish. Sizes: 275mm (10.75") high x 66mm (2 5/8") wide. A classic Victorian solid brass door knocker traditionally cast in the UK from an original pattern. A beautiful slim solid brass Victorian door knocker. Ideal for slim door panels. A highly patterned Victorian brass door knocker, the rose door knocker is traditionally made in the UK from an original. The Regency style lion door knocker has a ring in his mouth and is cast from an original door knocker, hand polished and left unlaquered. The solid brass Victorian Gothic door knocker is traditionally made in the UK from an original pattern, hand polished and unlacquered. The impressively large lion castle door knocker is made from solid brass and makes a statement on a larger front door. The beautiful solid brass bat door knocker is an inticately detailed animal door knocker. Made in the UK. Greet your visitors with a smile with this solid brass unusual jester door knocker. Cast in the UK, hand polished and left unlacquered. A hand made wrought iron door knocker made exclusively for The Door Knocker Company. Sizes: 163mm (6 3/8") high x 110mm (4 1/4") wide. Hand made by our local blacksmith. A simple arts and crafts wrought iron door knocker. A wrought iron door knocker, traditionally hand made in Shropshire. A hand crafted wrought iron door knocker made in the forge with a black paint finish. A hand crafted wrought iron door knocker made in the forge with a pewter patina paint finish. The wrought iron twist door knocker has been hand crafted in the forge and given a durable paint finish. 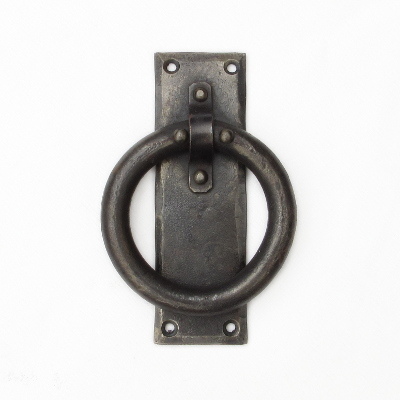 This simple cast iron ring door knocker with a powder coat finish in black, suits cottage and town doors alike. 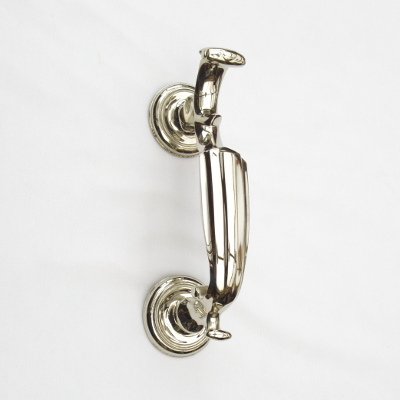 A simple traditional chrome plated ring door knocker suitable for all contemporary doors. 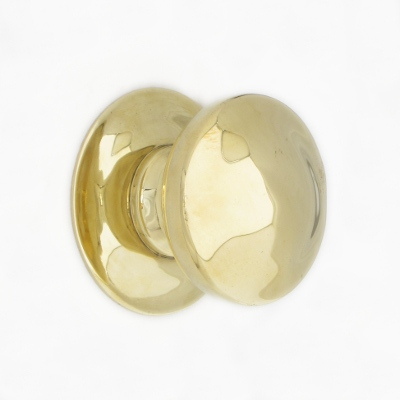 A simple traditional cast brass ring knocker with a lacquer finish suitable for traditional and contemporary doors. A large elegant solid brass ring door knocker. 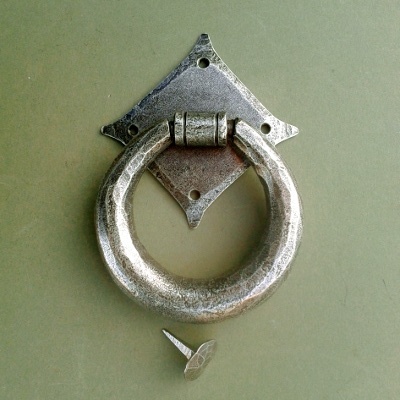 A large elegant chrome ring door knocker.